According to its presentation, CryptoRobo is the first licensed trading robot that trades cryptocurrencies for profit. It allegedly can earn you thousands of dollars per day, because it has a 93% win ratio. And because CryptoRobo is free, the question is: can you earn money with this system? The truth is that CryptoRobo is just another scam that is trying to ride the wave of cryptocurrencies. First of all, Zubringer is a fictitious character created by scammers. This guy simply does not exist as a successful cryptocurrency trader. Look at our picture and you will see that the image of Zubringer shown in his video is in fact a stock video that anybody can buy. The Cryptorobo website clearly states that this trading program is licensed. But it is a lie. We investigated it and Cryptorobo is not licensed. On the website of this system you can find a British and a German address. So, we looked into the British FCA register and the German BaFin register, because these are the national financial regualtors for these countries. 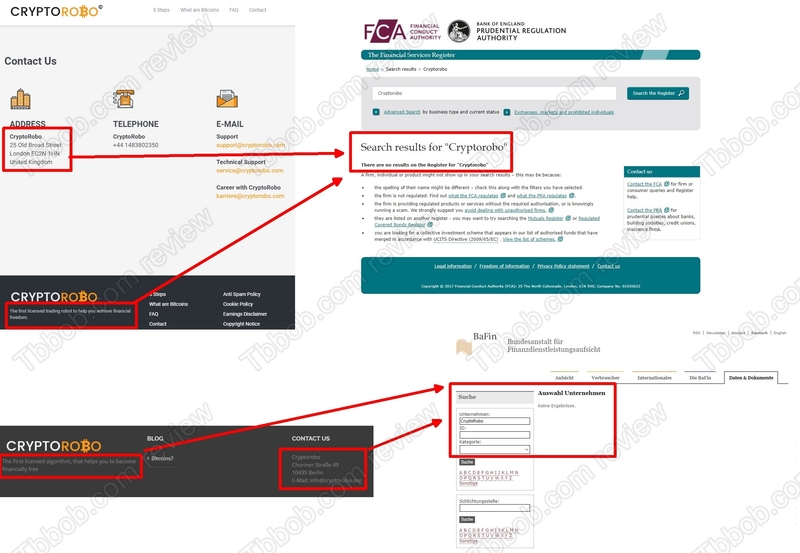 As you can see on our picture, there is no trace of CryptoRobo in these registers, which proves that it is not licensed! 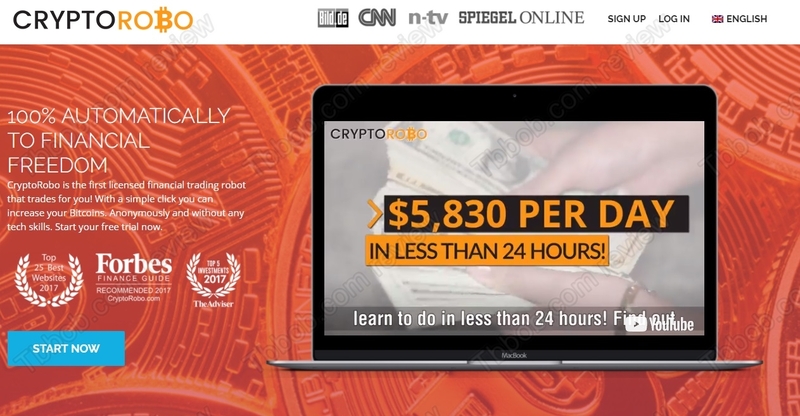 The CryptoRobo websites shows some alleged awards, it allegedly is recommended by the Forbes Finance Guide among others. But this is just another lie! Forbes has never endorsed CryptoRobo, in fact they have never even mentioned it. All the awards and reviews are fake! We looked for some real reviews of this system, and we found some obviously fake (containing affiliate links) and some probably real. The real ones were negatives. People say that CryptoRobo will push you to trade cryptos with TradeCoins and that the trading system will lose your deposit. This is obviously how CryptoRobo works, its purpose is to get new depositors for TradeCoins, which is not regulated. CryptoRobo is a scam that will not make you any money, it will only lose your deposit. Stay away from it! If you want to try cryptocurrencies trading, do it on a free demo account with a regulated broker. You will see that it is possible to make money in trading, but also that it requires a good strategy that is not so easy to build.